An intuitive skill for the Amazon Alexa to allow users to post tweets to twitter or send text messages to any number. The inability to send text messages or post tweets via the Amazon Alexa. 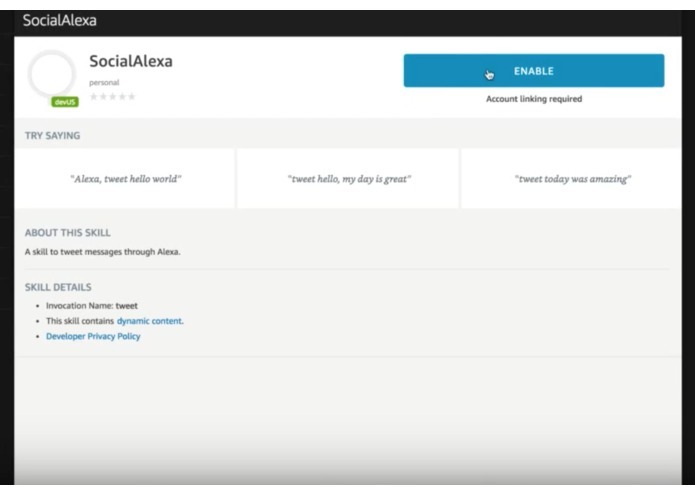 Allows a user to send text messages or post tweets to twitter to add social functionality to the Amazon Alexa. We utilized and Amazon Echo, Node.JS and integrated several APIs in order to implement all of our functionality. Integrating twitter with the Amazon Alexa. 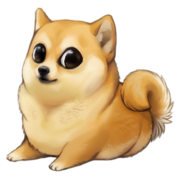 In order to integrate oauth with the account, a user must sign up with their twitter account to allow our application to make posts to their account which is done during the enable skill process. This is done through a heroku application that does not store or cache any of the users credentials and all API keys for the user are stored on each user's respective amazon account. Node J.S. 6.10 Basic lambda execution. Needs at least 512 MB of ram to run. (Done under advanced settings.) Needs a timeout of at least 1 minute. Integration of oauth for twitter with the amazon alexa (Not hard coding keys). Implementation of random text input in order to perform tweets and text messages. Integration with Facebook and other social media platforms! I worked on the configuration and setup of the Alexa to ensure that everything worked smoothly as well as working on integration with oauth for twitter messages.